The Wellington Square website is designed for use alongside the book components of the Wellington Square Reading Scheme. This scheme provides interesting and lively stories for lower ability readers. The website is easy to navigate and contains a range of activities to support the teaching of reading skills to pupils with Additional Support Needs. After logging onto the website, pupils are able to enter the Character pages. The character pages follow the same format and are all updated over the course of a term. Each character area contains an introduction, game, quiz, character information, character facts and character questions. A coloured logo on each web page specifies the reading level for that page. Vocabulary from that level’s word wall is included in the text and there are links to some of the books the pupils may have read. Pupils must read each character’s area before attempting the quiz section, as all questions are related to the character information and character facts. The website also has ‘Ask a Question’ which pupils can address to a character and receive a reply on the website the following day. These resources could be used in a variety of settings – whole class teaching, group work or independently. Worth a look! 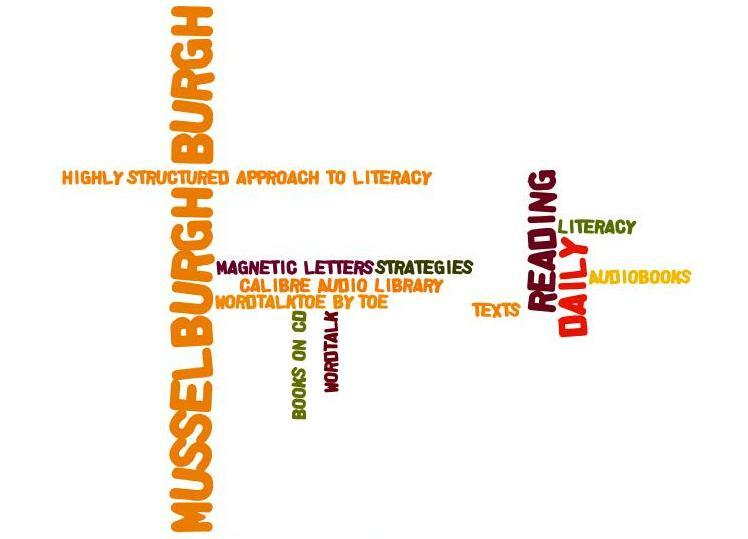 The Scottish Government announces that breaking the long standing link between poverty and poor literacy will be the focus of action to improve literacy in Scotland. Published on Wednesday 27 October, the Literacy Action Plan – the first of its kind since devolution – includes a range of actions from early years through to employment, aimed at eradicating poor literacy across the country. More support for workplace learning. The creation of a new additional support needs national advocacy service was announced today. Barnardo’s Scotland in partnership with the Scottish Child Law Centre have been awarded the contract to provide free lay and legal advice to families and young people who appeal to the Additional Support Needs Tribunals for Scotland (ASNTS) against education authorities’ decisions regarding the provision of educational support, such as out of area placing requests. At the Scottish Learning Festival last week I attended an interesting seminar on a new (to me) assessment of reading with which I was very impressed. It replaces the Neale Anaylis to some extent. Maggie Snowling heads the team which developed this assessment. She is a well known proponent of the links between phonological processing ability and literacy acquisition and highly regarded. The York Assessment of Reading for Comprehension (YARC) enables teachers to assess their pupils’ reading skills from an early age through to secondary school. It focuses not just on decoding and sight reading, but crucially on reading comprehension. The assessments at passage level concentrate on reading for meaning, enabling pupils’ reading and reading comprehension to be regularly assessed and progress easily monitored. Questions linked to each passage demand the use of deduction and inference to arrive at the answers, giving teachers vital information about their pupils’ skills far beyond decoding and retrieval of information. These are specifically designed for five and six year olds, although data will be available for the age range four to seven years. Assessing alphabetic knowledge, phonological skills and word reading, these tests are especially useful at identifying any underlying difficulties in phonological awareness and the acquisition of letter-sounds that could hamper progress in pupils’ reading. The Passage Reading set comprises two equivalent passages for each year from Reception (P1) to Y6 (P7), each with eight comprehension questions of increasing complexity. A version of GL Assessment’s Single Word Reading Test is also included as a benchmark test. The secondary reading tests include Passage Reading to assess reading comprehension skills, Reading Fluency and Single Word Reading.